MB Ozurumba, the ‘no excuses’ crooner man, has finally dropped an anthem for his lifelong happiness campaign. With a green vibe, afrotune and dancehall “happiness” talks about happiness as the ultimate in our lives adventure. The one essential tool of a fulfilled/fulfillment seeking life. Get your shoes heeled up to dance to happiness, it’s a dance with ease vibe. 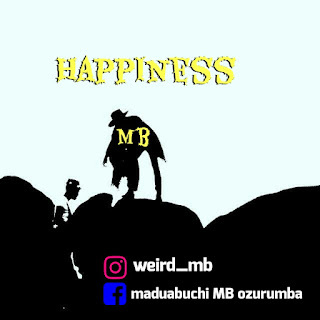 If you crave for happiness, you don’t want to miss this tune which was produced by Mr. Bangs and mastered by Tzar. Yea, it’s a crossbreed of afro and dancehall.